As per one of the recent reports, HTC is working on a new Windows Phone 8 smartphone which will be based on the design of HTC One smartphone. However the company has clarified that it would not be similar to HTC One but will borrow some style and designs from the phone and give a better design and look to its new upcoming phone. 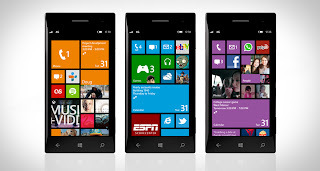 The phone may have features like large display, metal body, Beats Audio and will run the General Distribution Release 3 (GDR3) software version of Windows Phone 8. The camera details are not yet available but we can expect an UltraPixel camera which is the USP of the HTC Butterfly S.
0 Respones to "HTC working on a new smartphone based on Windows Phone 8"